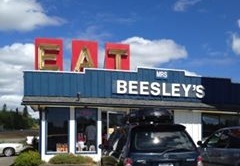 $20 Certficate - Mrs. Beesley's Burgers & Shakes, the old fashioned way! Off the Vader exit at 393 Cowlitz Ridge Rd. in Vader.